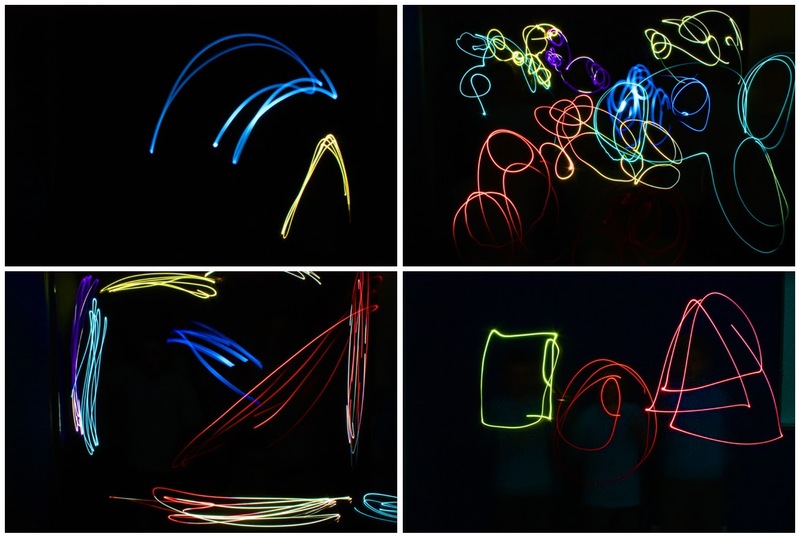 In a dimly lit classroom, year 5 created these light paintings in small groups while I took long exposure photographs. 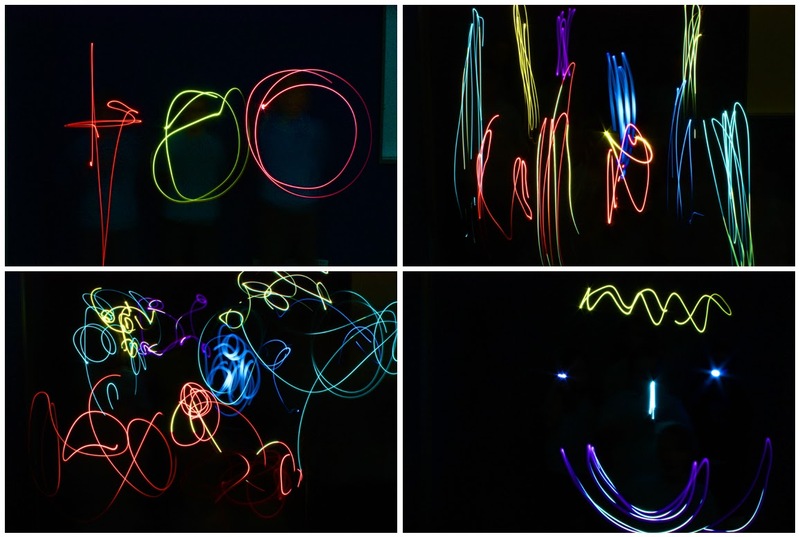 The brightly coloured lights are a combination of small torches and mobile phones with coloured cellophane attached. I've tried this lesson once previously, you can read a little more about the process and see the results here. 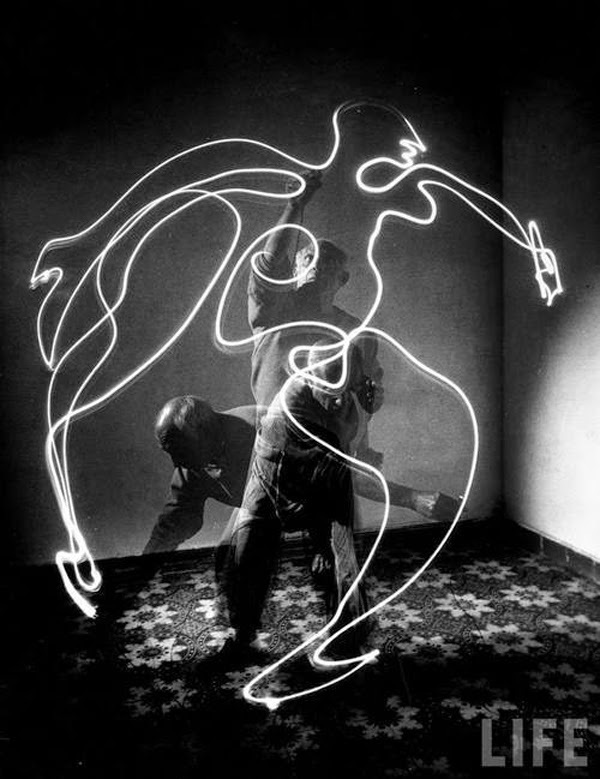 Since undertaking this lesson I've come across a 1949 collaboration between Gjon Mili and Pablo Picasso using this same technique. 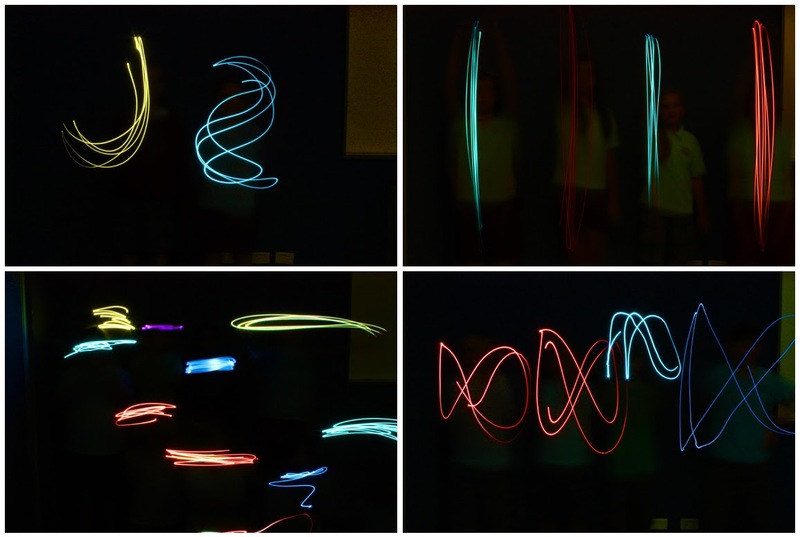 One of their resulting photographs is at the bottom of the post. This and some other photos from the same series ran in LIFE magazine in 1949 and then also featured in a show at New York's Museum of Modern Art in 1950. 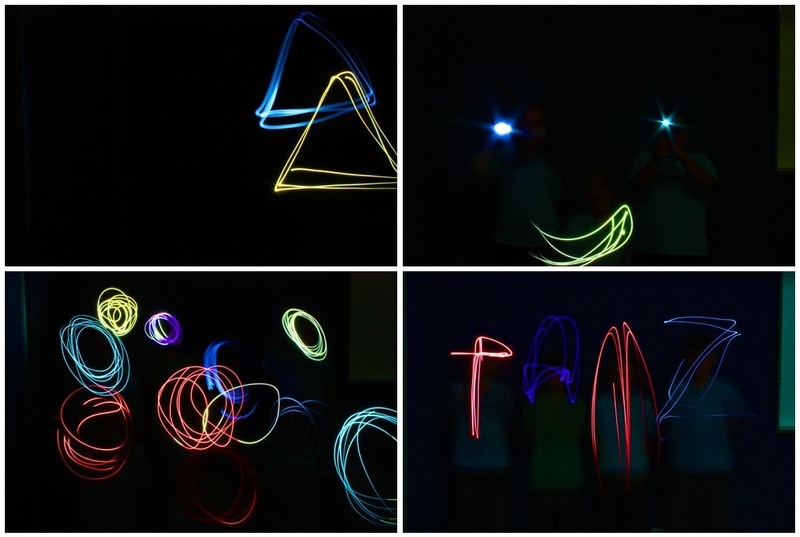 Great project, and so funny for your little students!